We’re right in the heart of Cambridge and easy to get to. Remember, your first consultation is a free one-to-one session with a qualified therapist that involves no obligation on your part. So no need to suffer in silence. 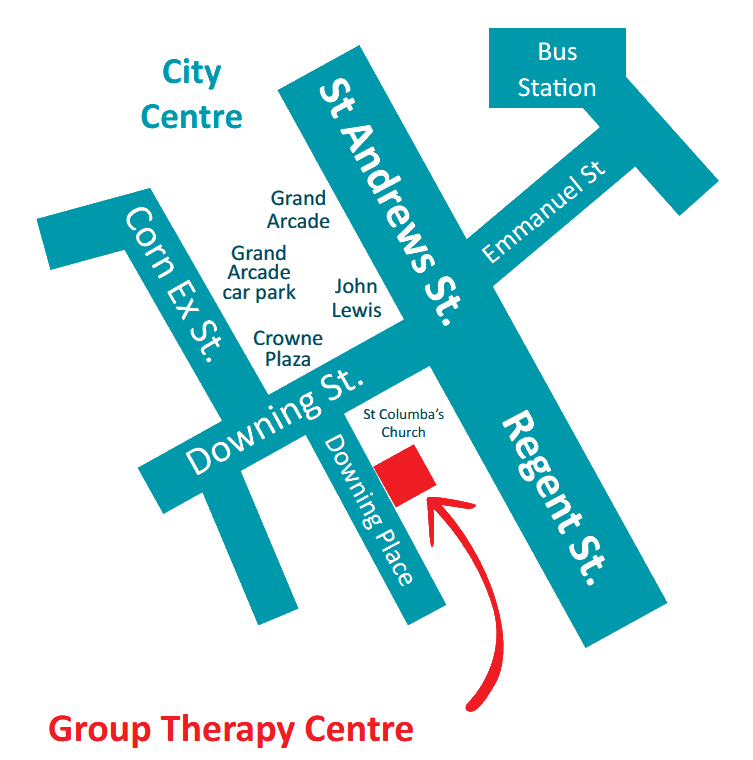 You can discuss your difficulties here in total confidence and find out how group therapy might be right for you. CLICK HERE and we will get in touch with you to arrange a free appointment. Ask your GP or another health professional for a referral to us. Click here for more information on where we are located and how to find us. Fill out and click to send this form and we will contact you as soon as we can. Please tell us briefly, and in confidence, about anything you feel may be relevant to the appointment. By submitting you agree to our privacy notice and consent to data sharing contained therein.